The pillar of any great story is the chemistry shared between its characters. A browse through any “Top” film and television list will inevitably contain one common trend: a focus on the complexities of human relationships. Nowhere is the capricious and inexplicable beauty of human (and animal!) connection more apparent than in the study of opposites. As we see in the upcoming remake of the 1960’s spy classic, The Man from U.N.C.L.E., sometimes the most unlikely of partnerships result in the greatest of successes. Amidst Napoleon Solo and Illya Kuryakin’s face-crunching and back-breaking brawls, lies a bond that can exist only between these seemingly incompatible individuals – where the dysfunction between two people cultivates something unexpectedly harmonious. Why do these friendships work? Who knows! But these relationships often reflect how our differences, when embraced, have the potential to become some of our most valuable assets. Whether they’re being chased through the winding streets of 1960’s Italy or discussing the merits of foot massage and the “Royale with cheese”, unlikely duos show us the importance of acceptance and cooperation in the name of a common goal. As you’ll see in the list below, even nuclear warfare and a 20-year age gap are no match for the power of two opposites merged as one. Tired of the ol’ 9 to 5 and banalities of daily life? Perhaps it’s time to spice things up and find the other half of your own iconic, crime-fighting, ball-busting duo. If Napoleon Solo and Illya Kuryakin have taught us anything, it’s that the line between enemy and ally is not always so clear-cut…The man who just stole your tube seat could very well be a prime candidate! In Tarantino’s revolutionary film, Pulp Fiction, we are introduced to the hilariously unconventional partnership between mobster assassins, Vincent Vega and Jules Winnfield. 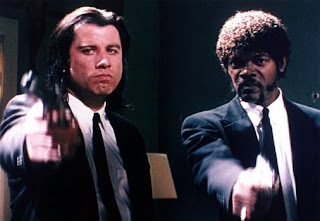 Aside from their obvious physical differences (Vincent is a slimy white man with a greasy head of hair; Jules, an African American with a closely-cropped ‘fro) is a dissonance in personality. Apart from provoking some entertaining banter, their varying approaches towards conducting business only serves amplify their strength as a team. The two men jokingly bicker their way through random subjects – French McDonald’s, the significance of massaging a woman’s feet – all the while preparing for a murder spree with a chilling amount of ambivalence. Jules is a man of intuition with a flair for the dramatics, whipping out an expansive Bible passage whenever he gets the chance and attributing their successes to God. Vincent, on the other hand, takes a more analytical approach to their assignments, assessing the available information before making a definitive move. Neither always see eye-to-eye on each other’s actions, but both continue to support one another in their pursuit for revenge and justice nonetheless. With the powers of logic and instinct on their sides, Vincent and Jules are one of Hollywood’s most entertaining dynamic duos. 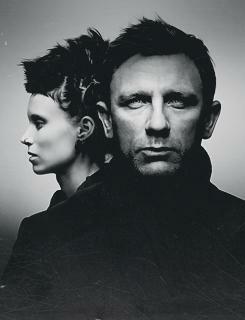 Pierced, tattooed, and emotionally aloof, Lisbeth Salander is not exactly the ideal prospect for a work partner. But despite her prickliness and quirks, Lisbeth only finds acceptance from scorned writer-investigator, Mikael Blomkvist, who seeks her technological know-how to help solve a murder mystery. Though an ordinary man by most standards, Blomkvist’s inability to commit to serious relationships demonstrates a fear of vulnerability – a trait that the affection-deprived Lisbeth similarly shares. With his career in tatters due to a widely-covered libel suit, Mikael understands what it means to be ostracized by society, judged and misunderstood by appearance and reputation. This understanding binds the two outsiders together, allowing for the progression of their relationship and crumbling of their emotional walls. From the outside looking in, Salander and Blomkvist are the unlikeliest of friends – but it’s their similar emotional sensibilities and mutual respect that unite them as an unstoppable, crime-solving force. When 12-year old Mathilda’s family is brutally murdered, she seeks the protection of her neighbor, Léon. Though initially reluctant to welcome the fledgling orphan into his life, Léon and Mathilda soon strike up a friendship that defies the boundaries of both age and personal history. Mathilda (played by a then-unknown Natalie Portman) is a feisty schoolgirl, whose former home life was ravaged by drug addiction and domestic abuse. 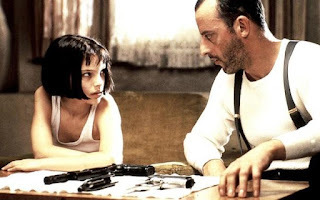 Léon, on the other hand, is a secret hit-man living just next door who, out of a twisted sense of compassion, agrees to train Mathilda in the art of guns and violence. Against all odds, the pair’s relationship becomes that of a father and daughter, each coming to love and appreciate the other’s support and friendship. Mathilda’s youthful openness unearths a gentler side of Léon that, while initially uncomfortable, softens some of his harder edges and manages to humanize him. Léon, meanwhile, gives Mathilda the protection that she needs – and the father figure she has always lacked. Both find a sense of belonging and safety within each other’s companionship, as is symbolized in the planting of Léon’s houseplant in the end of the film. Léon and Mathilda give each other roots; they give each other a home. Starring Hollywood funny girls, Sandra Bullock and Melissa McCarthy, The Heat is a screwball crime comedy where its characters’ conflicting personalities threaten to make or break their mission. 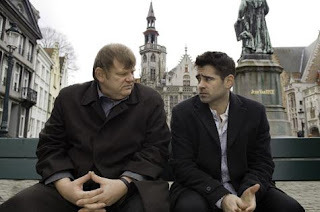 McCarthy plays a foul-mouthed Bostonian detective named Shannon Mullins who dishes out unnecessary f-bomb’s and drop-kicks as if they were gifts on Christmas morning. Her violent, rule-bending examination tactics may create more trouble than success, but they’re strangely effective when paired with her partner, Sarah Ashburn’s, by-the-book methods. 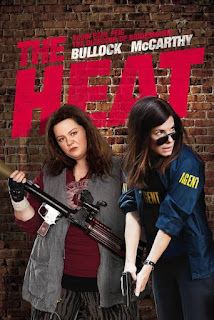 The perfect foil to McCarthy’s uncouth rebel, Bullock plays crotchety FBI agent, Sarah Ashburn, whose constant condescension and egoism has left her with only one friend (a cat…that isn’t even hers). Together, the two women are hilarious as their different ideologies and philosophies clash to create one uproarious, messy criminal investigation that culminates in a crazy drunken evening at a dive bar. Though they argue and continue to be as different as night and day (Mullins is still too quick on the draw; Ashburn too icy), the two women’s friendship and combined skill-sets help catch their criminal – and bring the heat. 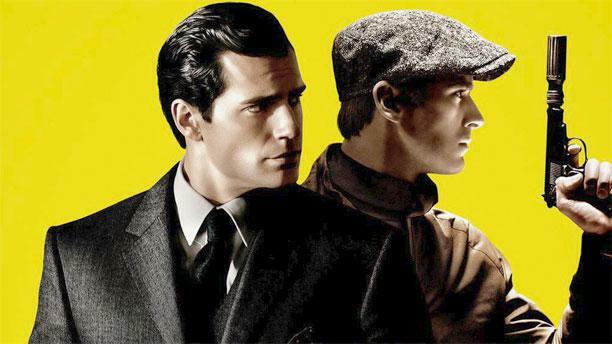 In The Man from U.N.C.L.E., our two protagonists could not be more different. Napoleon Solo is an ex-felon recruited by the CIA to apply his criminal intellect to help capture other crooks. Suave and cool-headed, Henry Cavill’s Solo is all effortless nonchalance and charisma, a disposition reflected that is further reflected in his tailored suits and slick-backed coif. He carries the knowledge of his own importance with an arrogance that manages to be charming rather than off-putting – though it surely gets under the skin of his Russian partner, Illya Kuryakin. Here exists not only a clash in personal character but a cultural discordance too, as their respective countries lie on the opposing sides of a silent but deadly war. Beyond the Russian-American conflict, however, is the tension that arises from the two men’s opposing temperaments. While Solo maintains a sense of composure at all times, Kuryakin constantly struggles to keep the explosion of his fiery temper at bay. He’s a ticking time bomb; fists forever clenched and trembling in poorly suppressed fury, though no less skilled at his job than Solo. He matches this hot-headedness with an intense reserve that the ladies’ man Solo seems to lack. Where Napoleon is more sociable, Kuryakin possesses a sense of old-time romanticism that is reflected in his steadfast loyalty to his mission and the woman he must protect. In the end, the duo is able to set aside the animosity that lies between them and help deliver mankind from the threat of nuclear war. THE MAN FROM U.N.C.L.E. COMES TO CINEMAS 14 AUGUST.